Al Bashier was an elected President, had constitution, parliament, deputies, a functioning party, and controlled private press. Had tolerated weak opposition parties and civic organizations inside the country, including unions, and allowed them some margin to function. The Sudanese people had known less terror than the Eritrean people. No comparison at all. Had branches of government and many other democratic trappings or the appearance of democracy though superficial and deceiving (such as rigged elections). In other words, the Sudanese government made changes so that it would appear as if it was a democracy. The paragraph above was necessary to raise the question: If Al-Bashier with all his comparative strengths was overthrown, what makes Eritrea’s dictator immune from the same fate? That no magnitude of repression, brutality and barbaric acts could stop the people from ending the rule of a dictator, who does not represent their interest and does not care about their views and feelings. In few words, it confirmed that repression finally backfires and that it is impossible to stop the march of history. That his Arab allies, specially the United Arab Emirates, Saudi Arabia, and Al-Sisi’s Egypt, did not move a finger to save him when things got thicker because they hadnever considered him a partner but a service-provider. In fact, there is suspicion that these former allies had a hand in his removal. 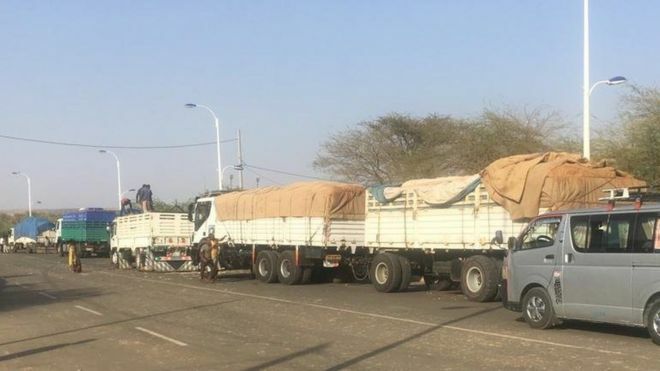 Interestingly enough, today (April 13, 2019) the Saudi Government recognized and supported the Transitional Military Council in the Sudan, and the King ordered shipments of aid to be sent to the Sudan immediately. This is consistent with the way the Gulf reaction treats its service-providers. In short, when a leader betrays his people and the national interest to prolong his rule, it is natural that those who had been taking advantage of his greed for power will betray him when they find his survival is at stake, looking for fresh service-providers who would serve them better and more effectively. For these Gulf countries, Al Bashier was like a disposable lighter which one throws away when it is no more useful. This is a great message for the intelligent. No last ditch efforts to contain anger and frustration of the people or to maintain the grip, such as reshuffling the cabinet members, arresting officials who had been corrupt for ages (as if their corruption is discovered today), introducing some cosmetic changes, or blaming internal difficulties on external forces will work in prolonging the life of a dictatorship. In fact, during his 30-year rule, there was no stone unturned by Al-Bashier to prolong the life of his dictatorship. However, he could not escape the fate he deserves. The experience here shows that even the closest loyalists to the dictator can betray him when they find it difficult to defend him. A good example is General Awad Ouf, the chairman of the Transitional Council of the Armed Forces, resigned next day, was the one who announced the ouster of Al-Bashier. The interesting thing is that the general, who was the Defence Minister, was named by Al-Basheir his first deputy six weeks ago.Who should dictators trust then? Accountability for crimes committed against humanity haunts dictators for the rest of their lives. The first arrest warrant by the International Criminal Court for Al-Bashier was issued on March 4, 2009 and the second on July 12, 2010. He is still wanted and could be handed over any time upon request. The continual growth of the number and the diversity of the participants in decentralized protests in different cities and towns. The ability to elicit loyalty shifts among the opponent elites and the supporters of the regime. The protests here teach us that protesters need tact and wisdom to win or at least to neutralize the opponent elites. The innovation of new methods rather than relying on a single method, and the significance of making informed decisions based on accurate information and knowledge of what is going on in the opposite camp. The ability to remain resilient, sober, disciplined, and united in the face of escalating repression. Creative use of modern technology, including the Internet, to pass information and coordinate the protests. The necessity of making sure that the voice of the protesters is the loudest and having an uncompromising stand to impose their demands on the new leadership. This will lead us to the question: What do the Eritrean people want from their struggle against Atse Isias? 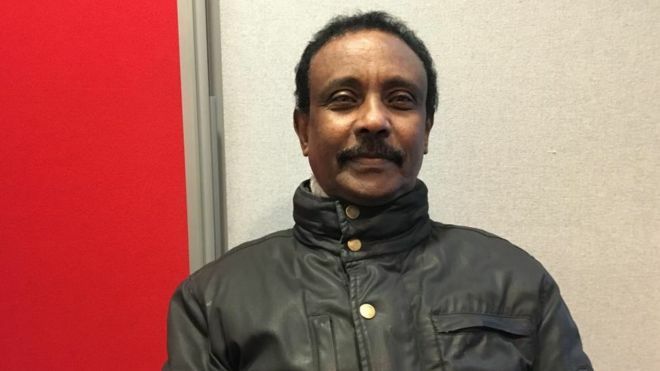 What Eritreans want, according to YIAKL Campaign, is ending the rule of a man who has locked down Eritrea’s politics for three decades, without a single life lost or a single shot fired, presenting the criminal-in-chief and his cronies to justice, and making sure that the country is not on the threshold of new uncertainty. In few words, they are demanding a completely new political landscape, which means not less than a clean state: new leaders, real elections, real rule of law and genuine democracy. Here the question is: How far is the military likely to let protestors go in their demand for an overhaul of the system? Experts who studied the academic literature on how the military responds to mass uprisings talk about several hypotheses. One of the most important takeaways from their findings is that no matter how invested the military may be in the regime, defending a dictator depends on the willingness of the army to fire upon their own countrymen and countrywomen. Here we are talking about the critical factor of military defection during mass uprisings. To formulate it as a question, we ask: Can we predict military defections during future mass uprisings against Eritrea’s dictator and how? 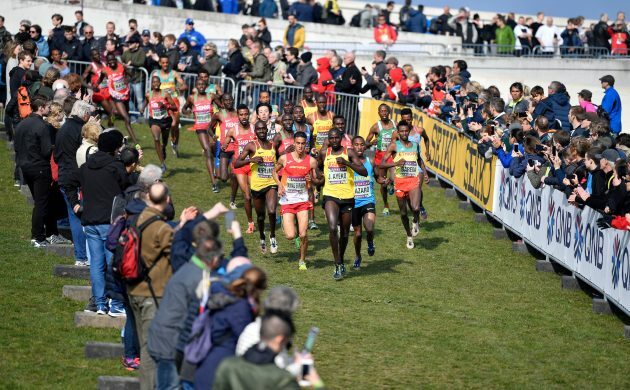 Experiences show that the answer is affirmative, but we need to look into the composition of the military as compared to that of the would-be Eritrean protestors. 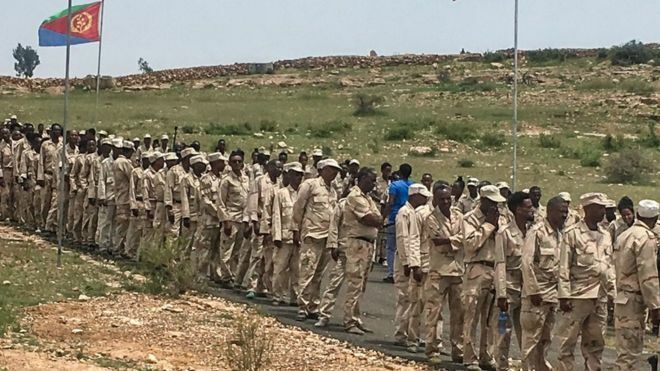 Most of the members of the Eritrean Defence Forces are conscripts required to serve indefinitely. Accordingly, they are underpaid, destitute, mistreated and abused, and deprived of basic individual rights, including the right to build families, continue their education, plan a future, have careers of their choice, and help their families who always dreamed that they would take care of them. This means that they have been going through the same types of injustice, rights abuse, and brutality of the regime as the protesters, who would definitely make sure that they chant “The army and the people are brothers and sisters.” Such fraternity contributed to military and security defections in 2011 in Egypt, Algeria since March, and we see the same thing happening in the Sudan these days, making the soldiers unwilling to repress protesters they consider their brothers and sisters. This is exactly what we expect to happen in our upcoming mass protests. Furthermore, there is no much of the Eritrean national sovereignty left to expect Eritrean soldiers to get convinced to defend the regime. This is the truth because the Atse has many times proved, in concrete terms, that he is the pawn of the Ethiopian aspirations and Gulf hegemony. In few words, there is conclusive evidence that he is a hired gun for Ethiopians and the Gulf reactionary forces. There is no doubt one would worry about the top brass at the military. However, no matter how much they may want to defend the dictator, they would be unable to do so, as experience has shown repeatedly elsewhere. They will practically learn that repression continues to backfire. 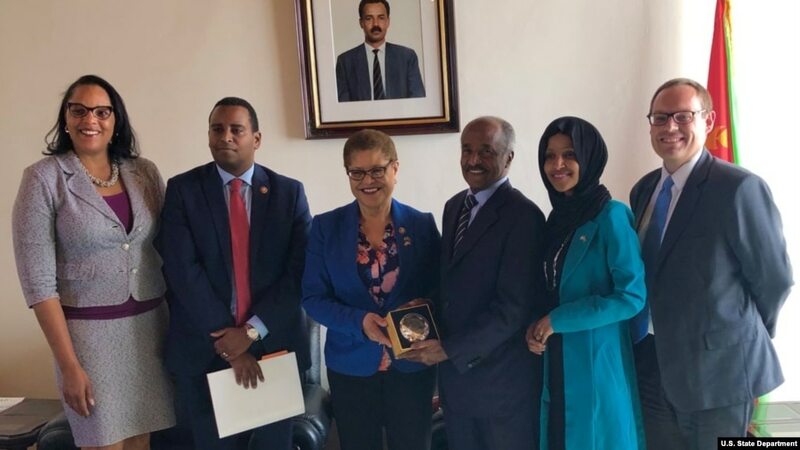 This way, when his key backers finally view his departure as inevitable, sensing the resolve and resilience of the Eritrean people, and realizing that the fight to keep him will reach too high a cost, cracks will begin to appear in his rule, and they will abandon him eventually. This has happened to many dictators put in the list in PART I, including Al-Basheir. Dictators just watch many of their most powerful elites abandon them, and they can do nothing but feel sorry for themselves. In fact, when tens of thousands of protesters swept into the streets in each case, opposing the dictators and demanding them to step down, only few expected the dictators would fall. But that happened when the protests gathered steam daily, drawing in the military establishment leaders and security officials. This is what the experience of the Sudan confirmed, as other previous experiences did. We could see above that the regime is on its way to face peaceful mass uprisings as in Algeria and the Sudan. Here is the question: Can the Atse and his regime find new ways to maintain the grip? Until the present, the gang leader has relied on mass terror, censoring the Internet in hope of reducing the effectiveness of the social media, indoctrination targeting socially and economically vulnerable people who are not well-educated and well-informed (often feel confused and insecure), using religion, ethnicity and regionalism as tools to divide the society, alliance with regional reaction and turning himself into the pawn of Ethiopian aspirations and Gulf hegemony in the Red Sea. Some of these might have given the regime a breathing space for some time, but none of them could remove the danger hovering over the head of the dictatorship. However, as the YIAKL Campaign intensified and our people became energized by the inspiration and experience of the victory of the struggle in Ethiopia and now in the Sudan, the dictator could see the writing on the walls and understood that the sword is hanging over his head. 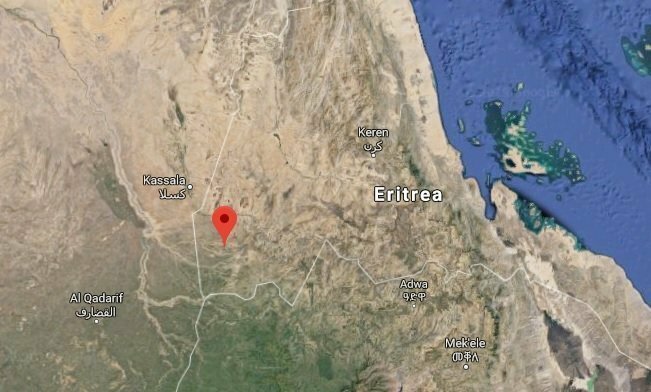 The situation reached a critical stage inside the country with yesterday’s announcement of a new organization (April 13, 2019) called The Eritrean People’s Liberation Front, which seems to be engaged militarily. Given all these, the question is: How is the dictator reacting to these developments? It is like a safety valve, but the head of the gang could not let pressure out of the system without compromising its fundamental control. He could not begin instituting democratic reforms to defuse the frustration and anger by recognizing the importance of transparency in governance, even if he is not an open man, but to keep his capabilities, democratizing things, granting some freedoms and small space to citizens who oppose his policies. Even if he makes all these and other desired changes, it would be too little too late. His reaction to these developments rather shows greater political timidity and the continuation to rely on the repressive security apparatus to squelch the political discontent. As a result, the repressive regime could not and will not manage to effectively counter the information-savvy, youth-led movement. The dictator and his gang do understand that information revolution has made it possible for mass protest movements to emerge and grow without the need for organized groups such as political parties and labour unions. Though they know that they are completely helpless, they pretend that things are under control and business is as usual. This strategy is not without high costs. No room for maneuver. They cannot play the same game forever. This is the Al-Bashier’s way: self-deception when the hurricane is coming. Before wrapping up this part, we need to raise the question: Who is responsible for making Dictator Isias? No doubt his personality makeup predisposes him to dictatorship. It is the inherent lack of empathy, guilt or remorse, added to an extraordinary high level of narcissism, psychopathic disorder, and paranoia that have allowed him to commit unspeakable crimes against humanity, and ruin the country by design so that it would not stand on its feet for ages. However, while it was easy to criticize or expose him, we, as a people, have enabled him. That is why it is said that a dictator cannot function without followers. Here we need to take responsibility as a people for enabling a dictator to compromise and destroy our lives. Without any exaggeration, Dictator Isias has destroyed our past, present and future. It is doubtful if the effects of the damage could be reversed in a century. This issue should not be taken lightly. Some could argue that dictators in the making could be cured, but this seems to be unlikely because once they assume power, it is often too late. Then we should focus on prevention rather than cure. But the key question remains: How do we prevent a dictator from coming to power in future Eritrea? The answer is to build a truly democratic system with all three independent branches of government, supported by an independent press and a voting population that cares for liberty and takes responsibility for it. This is the only way that guarantees checks and balances. Here, by “voting population” we mean a knowledgeable, mobilized, and engaged population or responsible electorate (we need to build this); not one that thinks voting is somebody else’s business. In other words, our focus should not be only removing the dictator and dismantling his regime, and presenting him to justice, but preventing his likes from assuming power in future as well. We could see that the rope around the neck of Adolf Isias is tightening daily and that the final push is not far away. In fact, it is at the corner. All straws he has tried to catch, thinking they would save him from drowning did not work for him. This does not mean that he would not try others, though we know almost nothing is left in his tool box. It is important to note here that we are not living in the age of miracle and fiction; it is rather the age of cause and effect. President Omar Al-Bashier never thought that the unexpected disaster will come, but his belief could not prevent it from coming. 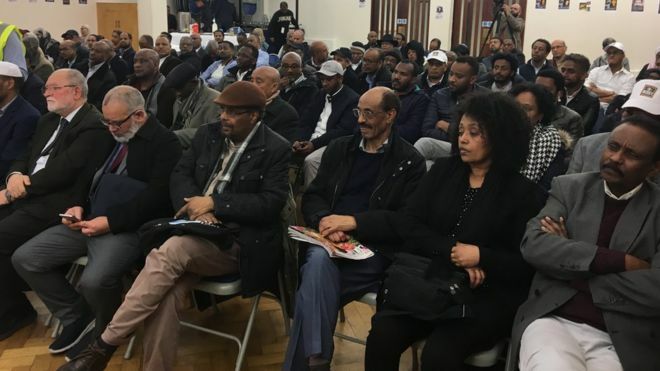 The Eritrean people are conscious of the stakes of the current crisis of the country, and are getting organized and ready to regain their dignity, without the help of any foreign power, repeating their exemplary performance of the 30-year liberation struggle. They had earned their independence through their bitter struggle, and it will not be impossible to defend it. As they taught heir colonizers (Traitor Isias’s conspiracy partners) an unforgettable lesson, they will teach a harsher version of that lesson to the dictator and his cronies, compelling the future leaders of the country, whoever they are, to meet the standards of their own people. It is becoming clear daily that there is a lot of talent and capabilities of our people to effectively mobilize a collective action, as the last push to overthrow the regime, in the most convenient and swift manner, whether using violent or non-violent method or the combination of both. For the Eritrean people, the end justifies the means, though peaceful means are preferable, if there is choice. But any sober person would wonder: Why does Adolf Isias need to be pushed out of power by popular pressure or force when he could resign peacefully once he knows he has reached a dead-end and has no room to maneuver? Since Adolf Hitler and Adolf Isias share the same personality makeup and have striking historical parallels, no wonder their last days could look similar. The German Adolf isolated himself in his bunker at The Führerbunker, near Berlin (built as a part of a subterranean bunker complex in two phases in 1936 and 1944) for the last four months, while Eritrea’s Adolf has been hiding in his bunker at Adi Hallo (built by him too, but no details available at the moment). This is a sign showing that their last days seemed paralyzed by paranoia. Surprisingly enough, Adolf Hitler’s nurse revealed saying, “"By the end, he didn't trust anyone any more - not even the cyanide capsule he swallowed.” I think we are justified to ask: Do we expect Adolf Isias to be in a different psychological situation these days? Could the end be the same to make the historical parallels perfect?